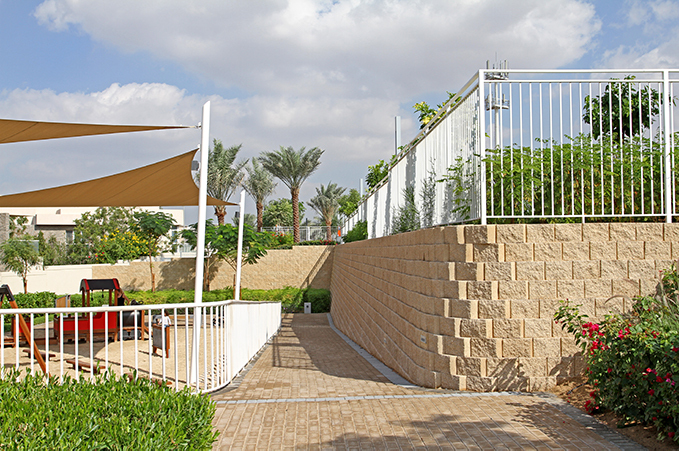 Terraforce > News > Gravity Retaining > - Landscaping & Terracing > 1/2019 – Perfect Pedestrian Ramp, Silicon Oasis, Dubai! > Cut and fill slopes where retained using Terraforce L16 blocks, manufactured locally by Consent LLC. Cut and fill slopes where retained using Terraforce L16 blocks, manufactured locally by Consent LLC.